Buy More Color Tissue Paper 24 Sheet Packs Save More! 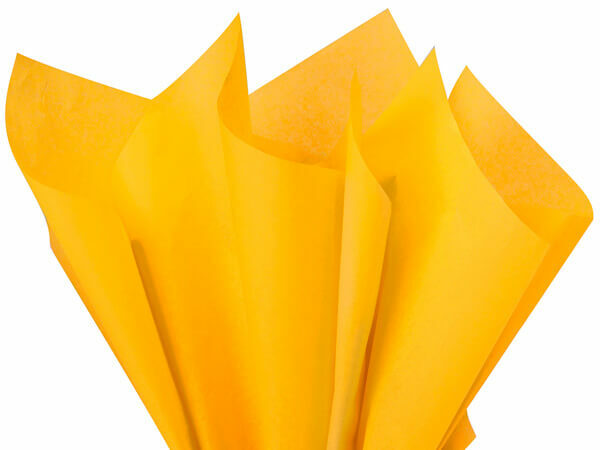 Goldenrod Color Tissue Paper 20x30" sheet - 24 sheets per pack. Color Flo Tissue Paper is made from 100% Post Industrial Recycled Fibers. Green Way ® Eco-Friendly Packaging. Made in the USA. Tissue Paper Sheets are 20"x30" ~ 24 sheets per fold ~ 1 color per fold. Made in the USA. Small Packs are a great way to make your own assortments. Green Way Tissue Paper is made from 100% Recycled Fibers.